CII international undertakes activities to connect Indian business with global business. Such activities include meeting the Heads of State and Government, decision-makers, networking with counterpart organisations, multilateral and academic institutions and other policy making bodies. The set-up of nine overseas offices helps CII to disseminate vital information related to markets and joint venture possibilities to Indian and foreign companies. 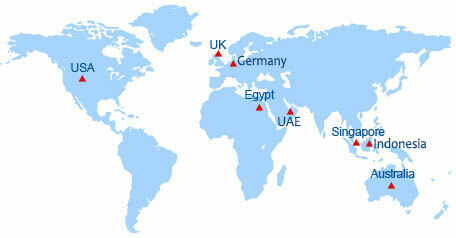 International events are organised as a part of its global business networking initiatives. This is supplemented our institutional partnerships with 355 counterpart organizations in 126 countries. Trade fairs, seminars, overseas missions, and conferences also develop strong contacts. Meetings with visiting Heads of State and Government and high-level ministerial delegations are held for Indian industry regularly. As India continues to attract the attention of the world, CII endeavor to strengthen India's international engagement globally and also work towards making CII the first port of call for overseas delegations that wish to engage with India and for Indian industry that wish to access traditional and emerging markets overseas. CII International´s Vision is To play a catalytic role in linking CII with multiple stakeholders across the globe and projecting Indian industry as a stable and dependable partner. Mission is To access more markets for Indian Industry, and create B2B opportunities for membership.